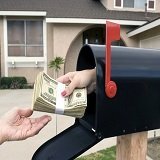 Email Marketing - if you've been selling real estate for a while you know that the secret to success is generating leads, and lots of them. Equally important is the ability to replenish them. Why not simply advertise for them? Many agents assume that they must have listings to advertise, but that's the farthest thing from the truth. In fact, it's just as easy to generate prospects with the listings of other agents as it is with your own. Now, I assure you that I didn't just suffer a bump on the head, but think about it for a second. Do you think agents in your office would be upset with you for advertising their listings? Probably not. In fact, they may be downright ecstatic about it, because they know that the more exposure their listings get the more successful they'll be selling them. And most importantly why would they be upset about you spending your money to make them money - you, too of course. So, they probably won't care one teeny tiny bit, it's still appropriate to ask for permission. With Email Marketing you can have your marketing messages broadcast 24/7 - almost completely automated; and in some instances once you develop one campaign you can duplicate it for little to no additional expenses over and over again. Some agents use special reports and website content, while others use newsletters as the foundation of their email marketing campaigns; both are low maitenance by virtue of the fact that agents are using prewritten content. Many agents simply don't have the time or interest to write their own materials, so they simply buy prewritten content and pick and choose what they want to send to their readers. If you don't have any consider these. The key element of email marketing is to have people request information in exchange for their email address and other contact information and get folk offering up their contact information.Following is an example. "3 Bedroom House - Best Value In West End Subdivision. Won't Last Long. Email yourname@aol.you for full details." Do you think people might email you for additional information. I do! And of course you're not limited to advertising in a newspaper. You could promote through flyers that you place on windshields of automobiles parked at the malls and shopping centers. Again, you should not limit your advertising to just newspapers. Alternatively, you can post flyers in laundromats and simply lying around where people gather; in business offices, stores, college campuses, movie theaters, etc. Now the point of both examples is to build a list of prospects that you can create relationships with that lead to sales; and not to make sales during your first contact with them. While this isn't necessarily what you want to hear you should understand that not many folk are compulsive buyers when it comes to purchasing real estate. It's much too big of an investment for that. Instead, they typically labor over the process for months, sometimes years. So, it's unrealistic to think that you can change that about them and have them buy a home from you just because you want them to...espcially if you just met them. Forget about it already. 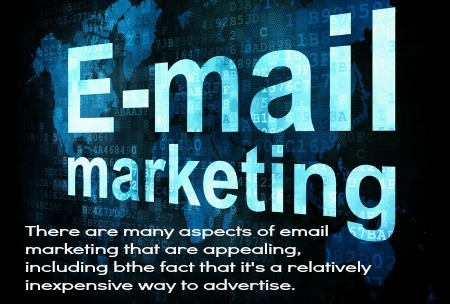 However, it is reasonable to expect that if you cultivate a relationship with them that you can be the agent they work with when they are ready to buy That's the power of advertising for email marketing leads. 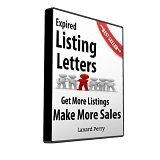 Once you have names and email addresses of prospects you are ready to take the next step, which is converting them into paying customers. In fact, you'll be able to provide useful information and follow-up for as long as it takes to transact a deal with them - and much of it with precision like efficiency. Who knows, pretty soon you could be in the enviable position of having folk on your list buying and selling through you, one by one, and all because you recognized the basic principal of selling - which is building relationships. 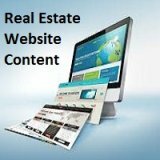 Visit our Real Estate Article Directory Before You Go!